Cardinals right-hander Carlos Martinez throws during spring training last month in Jupiter, Fla. Martinez will begin the season on the injured list as the two-time All-Star tries to work his way back from shoulder weakness. 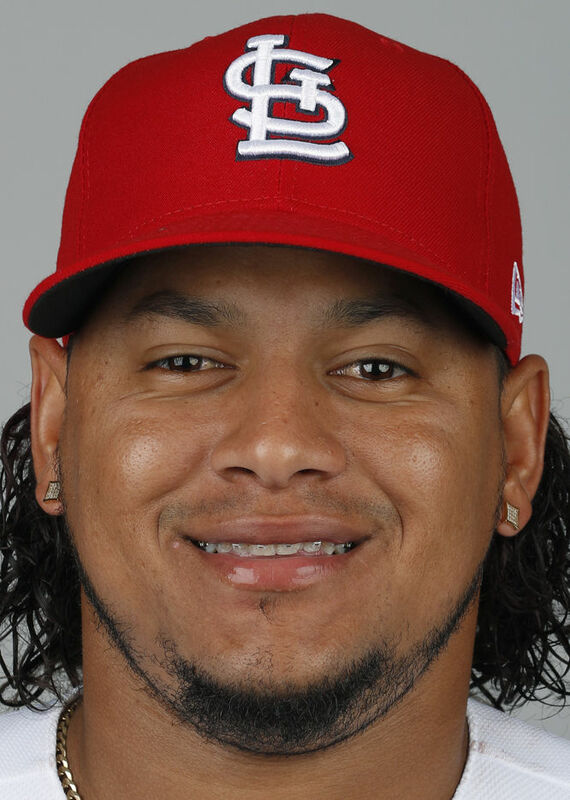 JUPITER, Fla. — St. Louis pitcher Carlos Martinez will begin the season on the injured list as the two-time All-Star tries to work his way back from shoulder weakness. "He's in a good spot," St. Louis manager Mike Shildt said. "He's taken advantage of the time he's had off to strengthen, and now he'll get back to playing catch." St. Louis has not announced a timetable for the completion of Martinez's strengthening program. The pitcher received a platelet-rich plasma injection two weeks ago, which Martinez said improved the condition. "I'm not trying to rush this out," Martinez said through an interpreter. "I just want to have a lot of strength in my shoulder so I'll be able to pitch as long as the team needs me." A 27-year-old right-hander, Martinez was the Cardinals' opening-day starter last year but did not pitch for St. Louis from May 8 until June 5 last year because of a strained right lat muscle, then was out between July 19 and 30 because of a strained right oblique and between July 30 and Aug. 21 because of a strained right shoulder. When he returned, Martinez pitched out of the bullpen and had five saves. He finished 8-6 with a 3.11 ERA in 18 starts and 15 relief appearances. "That's impossible to answer right now on a couple levels," Shildt said of Martinez's role this year. Martinez could be available as a reliever a few weeks earlier than as a member of the rotation. "I'm a starter until somebody tells me otherwise and if they tell me otherwise I'm more than happy to help the team another way," Martinez said. Top prospect Alex Reyes isn't a candidate to be the fifth starter. After throwing only four innings combined over the past two seasons because of Tommy John surgery and a lat injury, Reyes is vying for a bullpen spot. Dakota Hudson, John Gant, Daniel Ponce de Leon and Austin Gomber are contenders to start. Gomber would be rotation's the lone lefty. Miles Mikolas will start opening day for the Cardinals at Milwaukee as part of a rotation projected to include Jack Flaherty, Michael Wacha and Adam Wainwright.